DivaShop: New Hello Kitty Collection at Claire's! New Hello Kitty Collection at Claire's! 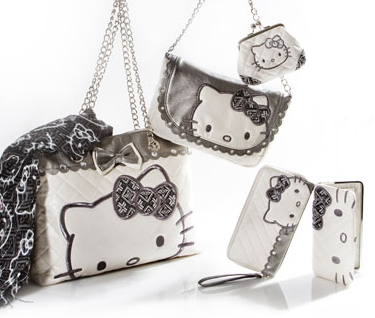 Fans of Hello Kitty can rejoice in Claire's new Hello Kitty Collection! I was reading my email & came across an email from Claire's about their new collection. This collection includes purses, backpacks, laptop cases, wallets/coin-purses, luggage, jewelry, journals, & even a mini fridge! The entire collection ranges in price from $6 (this coin purse) to $165 (this rolling luggage). Pieces range in style from toned down pieces (as shown in the image) to cutesy. Whichever your taste is, you should be able to find something you like.